There is a very serious issue in Moji. 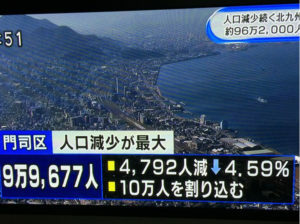 population of Kitakyushu-city is reducing. Specially population of the town, Moji, is terrible. And Moji is the home town of myself. It is not sure that TOUKA can support Moji. But, where there the will, there the way. That is why, TOUKA was started in the town, Moji. JR Komorie Station is the nearest station from us. It is about 7 minutes walk from TOUKA. This station is the newest one (only 28 years old), around this area. It is new but there is no shops and restaurants in front of the station. Instead of shops, there are nice looking red brick warehouses standing between station and Kanmon Straits. 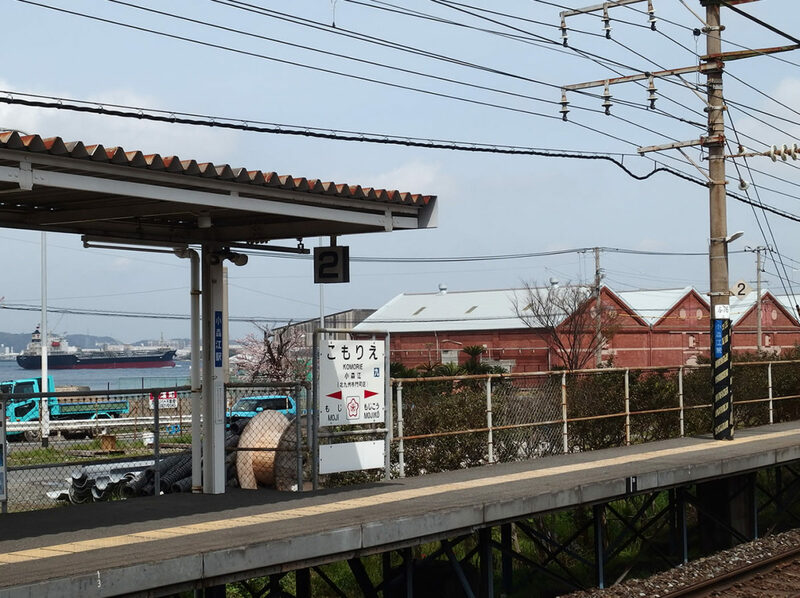 We can also see the strait and ships from the platform of the station. We think there is no other station like Komorie which is so close to straits and running ships. It is very unique, don’t it? Komorie Station is pretty small station but all passengers / users like the station. 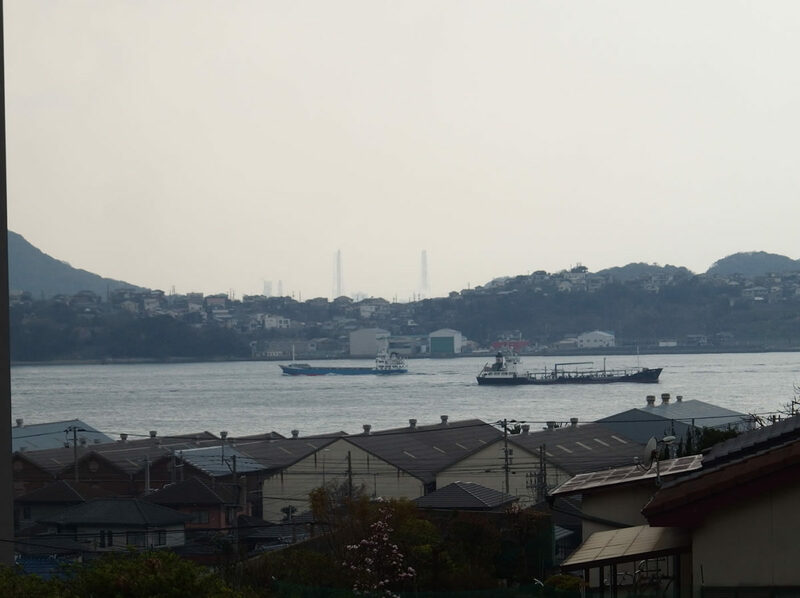 So many ships go through Kanmon Straits. It is fun just watching ships go by, forgetting time goes by.